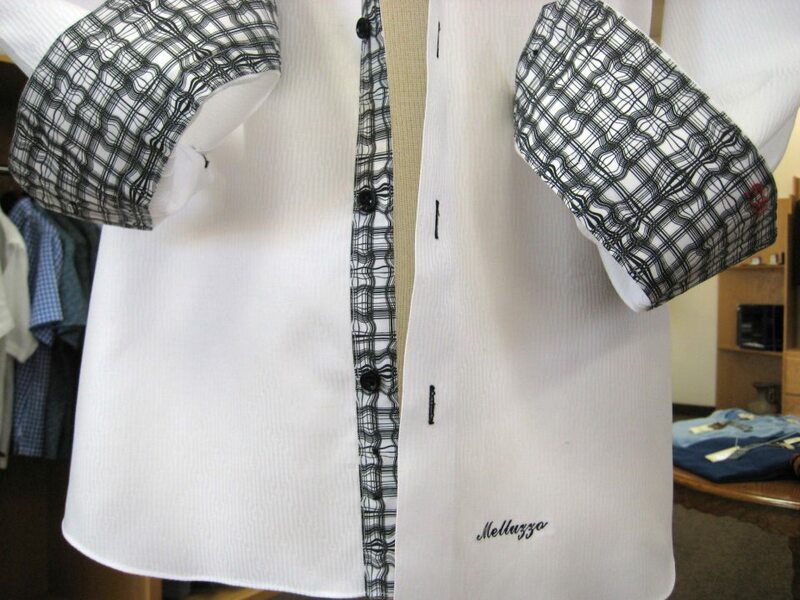 Melluzzo’s is proud to offer their custom shirts with more than 4000 luxury Italian fabrics to choose from. Our shirts are available for any and all occasions. Are you in need of a stylish shirt to go with that new custom suit? Or are you looking for a sporty look? Is there a wedding or a special event in your near future? Either way, Melluzzo Menswear will assist you in the process of choosing the proper look to highlight your personal style. Just like our custom suits, we take a complete body measurement and use those specifications to create the most complementary look for your size, shape and preference. We also offer personalization of your custom shirt with contrasting body parts; collar, cuffs, etc., embroidered initials, name, and even the date of purchase. 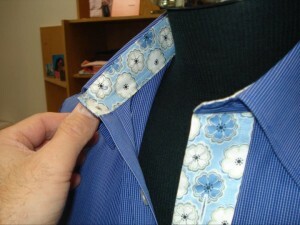 Our Bespoke custom shirts come in a variety of colors, patterns, and options. In some case, it can be a bit overwhelming. So if you do not consider yourself fashion-savvy, don’t worry-we will walk you through the steps and help you look your best! Once you go custom, you will never go back to buying off-the-rack!